Kite surfing is one of the best water sports in the world. It is an intense and exciting game that enables you to connect with nature by fully aligning your body and senses to the waves and the wind. Mauritius is one of the best kite surfing destinations in the world. With its incredibly reliable wind conditions, perfect flat water and world-class waves at the same spot, Mauritius offers kite surfers the ultimate kite surfing playground destination. Thanks to the protective barrier reefs around the island, it has a large water lagoon that creates the perfect Mauritius kite surf spots. It boasts of huge expanses of shallow water and a notable absence of waves that make it an ideal spot for beginner kite surf lessons. It also offers wild waters for pro level kite surfers looking for some adrenaline rush. Also known as the Mauritian winter period, this is the main wind season. During this period, the island experiences consistent trade winds blowing from 18 to 30 knots. 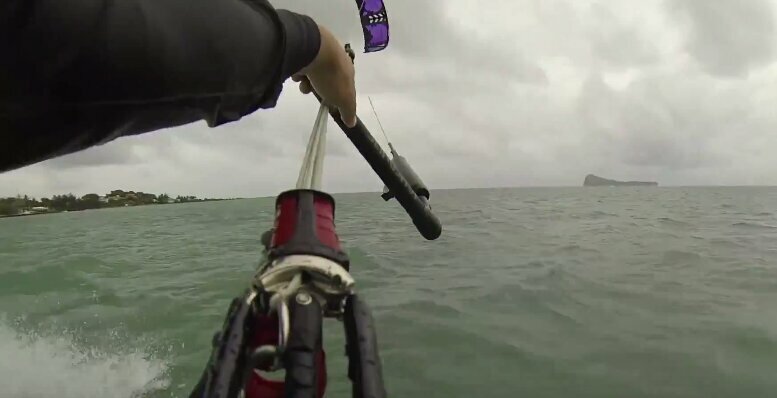 This is the perfect wind condition for Mauritius kite surfing. The water temperature drops to about 22-degrees on average. Hence, kite surfers are advised to carry their full wet-suit attire during this period. During this period, the wind is not as consistent. Therefore, you may have days with very low wind. The wind blows between 10 and 25 knots during this period. The sea and air temperatures are warm, and you can enjoy other activities such as parasailing, scuba diving, deep sea fishing or a catamaran cruise during this time. This is an ideal Mauritius kite surfing destination for beginners as well as experts. This shallow water lagoon offers plenty of space and strong winds for new Mauritius kite surfers to practice or try out new tricks. It also provides a beautiful scenic backdrop of green mountains, white sand and clear turquoise water. You can enjoy kite Mauritius on the east coast, just a few kilometers south of Belle Mare Village on the picturesque beach Palmer. Here, you will enjoy a beautifully flat and closed turquoise beach with no currents or boat traffic. Belle Mare is a safe kite surfing spot as the water is not very deep and has a 45-degree on-shore wind. This emerald blue beach is an ideal destination for intermediate and experienced kite and wind surfers. This beach is best known for its Ile-aux-Cerfs resort, which makes it a perfect kite surfing spot. People can enjoy kite riding here throughout the Mauritian winter period. The Beach is a shallower than other beaches, and hence, riders should be a little cautious especially during the low tides. Located in the South-West of the island, One Eye is one of the most famous Mauritius kite spots. However, due to its fast left wave, it is only recommended for expert kite surfers. This Lagoon is known for its choppy water and gusty winds. It is ideal for surfers who would like to try kite surfing on a wave for the first time. Set in the warm waters of the Indian Ocean, Mauritius is truly a tropical paradise. Kite surfers who have visited this island can attest that it offers exceptionally high standard and exceptional value for its beautiful beaches, coral reefs and blue Indian Ocean water. 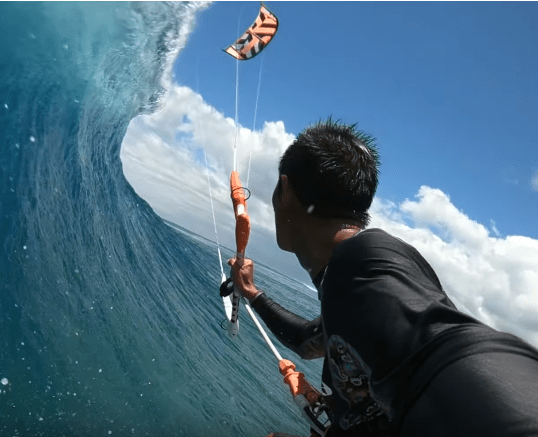 When we are talking about the north of Mauritius, kite surfing is no exception. You need not move to other region of the island to kite surf if you have chosen to stay in the north. While there may be several spots offering this activity, we will concentrate on the main one which is Anse la Raie. Anse la Raie in the north of Mauritius is an unspoiled piece of heaven. The beach has all the facilities like toilet and is always calm. It is suitable for water sports like kite surfing because it has lots of open spaces. The beach is about 3 kilometers long and the lagoon is just knee deep with warm water almost round the year. When the lagoon is ideal for kite surf beginners, the more experienced surfers can go beyond the reef and enjoy the whole expanse of the blue waters. You get a good view of the northern islands from Anse la Raie beach.